Take time to relax and to look after yourself. Give yourself the time-out you deserve with a relaxing beauty treatment or massage. Please let me know your preferred date and / or time. done Thank you for your request. I will reply to arrange a booking within 48 hours. error We were unable to send your request. Please contact me directly on 0419 499 887. Supreme Beauty provides a range of beauty services from facial treatments to massages, tinting and waxing. My name is Wietske Woudt and I operate the beauty salon Supreme Beauty from my home in Flagstaff Hill, on the border with Coromandel Valley and Craigburn Farm. In my work I prioritise clients' comfort, relaxation and privacy. I take pride in doing my work to the highest standards and providing clients with quality services and use only high quality products in my treatments. I am glad to see so many of my clients recommending me to their friends. Our training and years of experience garuantee you excellence in beauty services. I constantly research beauty products and select only the best to use and sell in our salon. I pride myself in providing you high quality services from my beautiful home-based salon. My biggest point of difference is my personal approach and complete focus on your well-being. format_quote To experience pure luxury and pampering you must visit Supreme Beauty. Wietske has a gift and never in all my years have I left a salon feeling as thoroughly relaxed and rejuvenated! Treat yourself to an amazing hot stone massage or facial. I have been a client for many years and will remain one. A truly amazing experience. Thank you Wietske! format_quote I have been coming to Wietske for almost 2 years. Her massages and facials are superb. My eyebrows are always the perfect shape. format_quote She has such a lovely way about her and made me feel welcomed, relaxed and completely at ease. format_quote Her waxing is the best I've experienced and I highly recommend her to all my friends and family all the time. format_quote Wietske tans are natural looking and easy to maintain. It is always a relaxing and rejuvenating experience to spend time with her in her salon. For my beauty treatments I have chosen to work with the high quality products of Algologie. I have worked with their wide range of products for some years and I have been impressed with how their products detoxify and purify the face and body. Algologie (from Brittany in France) products are based on sea weed and other natural ingredients. Algologie products are made without paraben, mineral oil, propylene glycol, phthalate, silicone or PEG. The products of Fleur De Mer are made in Australia and are perfect for Australian skin conditions. 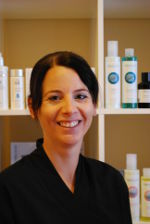 Their wide range specialises in unique and intensive skin treatments for a variety of skin problems. Fleur de Mer are also known for their excellent sunscreen, made to protect you against in intense Australian sun conditions. Create the perfect atmosphere in your home or work place with my handmade scented candles and scent diffusers. They make great gifts for someone special. I have a wide range of scents in stock, and can make your favourite one by order. My scented candles are made of the highest quality ingredients. The wax creates a beautiful candle that is not only a pleasure to burn, but will also visually stand out as a quality product. The candles are poured in a glass jar with lid. 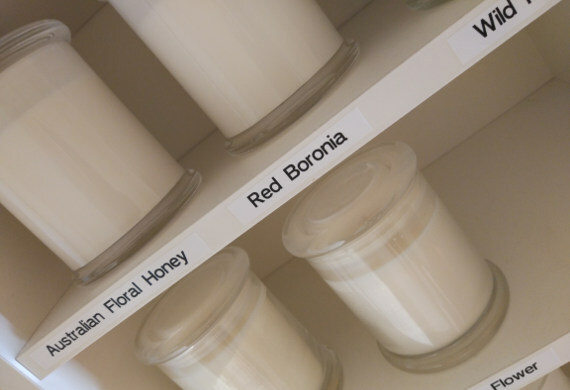 Each candle provides approximately 45 hours burn time, and are made with 230grams soy wax. A great alternative to scented candles are scent diffusers. These can be used at all times and continuously spread a lovely scent throughout the area. They can be used in many different areas in your home or work environment. One bottle of diffuser oil usually lasts a number of months. Let someone else enjoy the relaxing and rejuvenating services of Supreme Beauty. 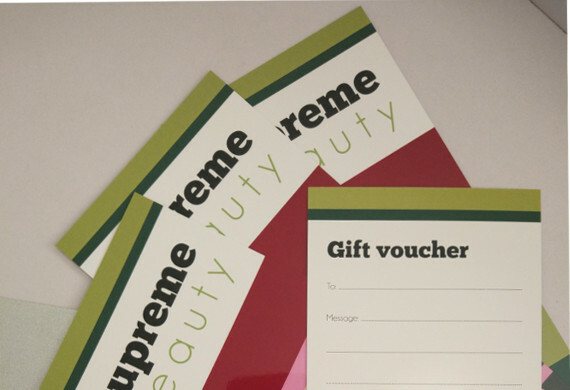 The Supreme Beauty gift card is practical and always appreciated, truly the perfect gift. I offer gift vouchers to order, which means you can create your own gift package that can include any treatments, services or products. Alternatively you can choose to specify the amount to be spent at any services or products from Supreme Beauty. Feel free to contact me if you would like to get personal advice in choosing the most appropriate treatment or package. The gift voucher will come in an elegant envelope and can be customised with your own personal message. Gift vouchers can be picked up from my salon in Flagstaff Hill or can be mailed to you. My name is Wietske Woudt and I operate my beauty salon Supreme Beauty from my home in Flagstaff Hill, on the border with Coromandel Valley and Craigburn Farm. Supreme Beauty provides a range of beauty services from facial treatments to massages, tinting and waxing.